Our 2-day aid climbing course will provide you with all the fundamentals of aid climbing and big wall climbing. It covers both clean and hammered aid techniques. Thus, we will give you a solid foundation for pursuing your own climbing ambitions. If you have always wanted to go and climb a big wall, but unsure where to start. Aid climbing is a specific technique that provides climbers with the ability to get up routes that may be too hard to free climb. This is the perfect place to learn. On the aid climbing course, we will look at different aid climbing systems, i.e. clean aid climbing and hammered aid climbing. We will also look at marginal placements, i.e. skyhooks, cam hooks, beaks and RURP’s, this is the exciting part. It always feels a little disconcerting what you can actually hang on, but impressive at the same time. On the aid climbing course, we will cover jumaring up a rope. Which is the more efficient way of a second following a route. And lastly, hauling and lowering of haul bags. How to release the bags, what systems to use, and what to do when they get stuck. 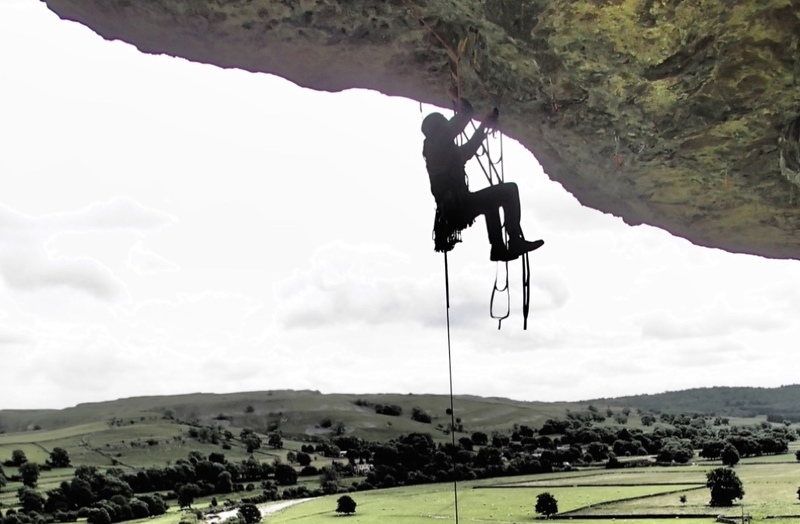 The aid climbing course is 2 days long, and is run in Gloucestershire, Avon Gorge (Bristol, Somerset) or North Wales. Our client-to-instructor ratio does not exceed 2:1, so that we can give you our fullest attention. All of our courses are tailored to suit your availability and experience. Taking into account any individual needs and fitness levels. Gloucestershire, Avon Gorge (Bristol, Somerset) or North Wales. Introduce the system of aid climbing. We will be mainly looking at clean aid climbing, and jumaring a rope as a second. How to fix the ropes, and what issues you may come across. As well as covering the previous day’s systems. We will introduce marginal, and hammered aid climbing techniques. As well as hauling and the lowering of the haul bags. We will cover the different systems of hauling, and when to use them. The course content and location tend to be dictated to us by the weather, so the aid climbing course layout can change. If you are unsure whether the aid climbing course is suitable for you, please do not hesitate to contact us on info@riseandsummit.co.uk or call us on 07775 853 348, and we would be happy to help.